On April 27, NEOSTEK’s Kevin Parker presented at the 2016 AIIM Conference in New Orleans. His topic was “Don’t Make Us Think: Getting SharePoint to be Useful, Usable, and Used”. The slides from the presentation are available through AIIM’s SlideShare channel. View the presentation slides on SlideShare. AIIM International is a non-profit professional association dedicated to helping organizations and information professionals put information to work. 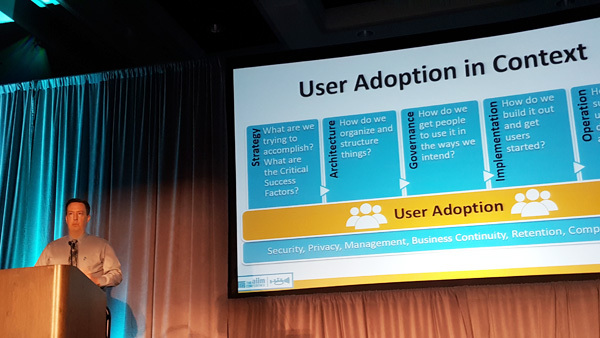 Over 650 information professionals from around the world attended the conference this year, and there are close to 200,000 people in the global AIIM community. NEOSTEK is proud to participate in the AIIM Conference.